David Grim has served as deputy director of the division for the past two years. An SEC division in Washington, D.C., has a new chief. 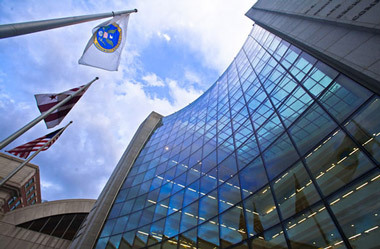 The Securities and Exchange Commission announced Tuesday that David Grim has been named acting director of the Division of Investment Management, replacing the division’s former director, Norm Champ, who left the SEC in late-January. Grim served as the division’s deputy director for the past two years. During that time, he was responsible for overseeing all aspects of the division’s disclosure review, rulemaking, guidance and risk-monitoring functions. Grim joined the SEC in September 1995 as a staff attorney in the division’s Office of Investment Company Regulation. In January 1998, he moved to the division’s Office of Chief Counsel and was named assistant chief counsel in September 2007. Champ left the agency to become a visiting scholar for the spring term 2015 at Harvard Law School, where he also is a lecturer in law on a biennial basis and teaches a course on investment management law.